The Radio [#ds106](http://ds106.us) phenomenon has totally changed how I think of social presence in a course experience. There is something magic (and yet not magic) about a bunch of people coming together to play and collaborate in various forms, just for shits and giggles. It’s awesome in so many ways. It’s also a little like living in science fiction. Grant Potter [set up a radio station](http://web.unbc.ca/~gpotter/?p=655) for the DS106 course. Which has been amazing. And then he shared the live broadcasting info, so [people can tap into the server and broadcast live audio](http://web.unbc.ca/~gpotter/?p=680) from wherever they are. Everything in the radio station technology stack is several years old – with the exception of mobile apps for live broadcasting. But that mobile ability – to broadcast live from anywhere – is a real game changer. 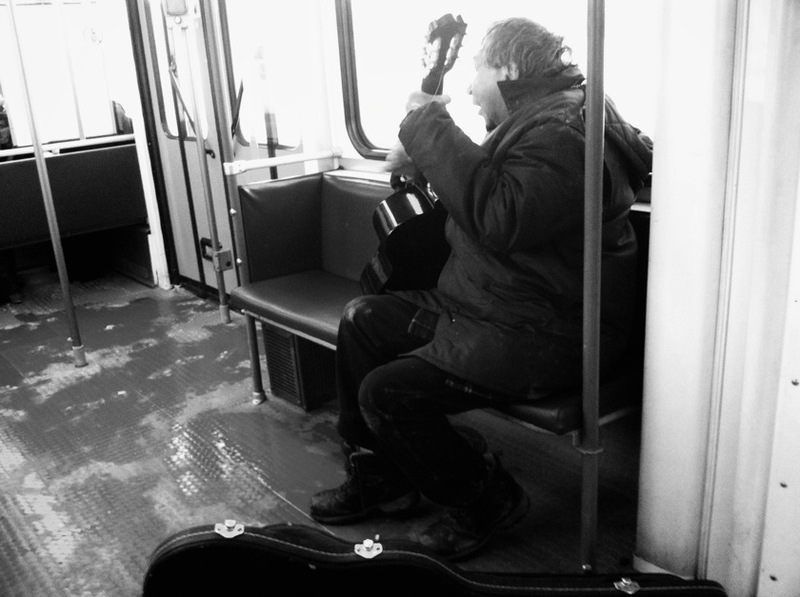 I was on the train this morning, and there was a guy playing a guitar. I thought “hey, I should share this with #ds106” and fired up the [Papaya app](http://itunes.apple.com/ca/app/papaya-broadcaster/id366266882?mt=8) on my iPhone. With one click, I was streaming the guy live to whoever was listening to Radio #ds106. Sure, the guy’s playing was a little rough. And his guitar was painfully out of tune. But he was giving it a shot. And I was streaming his music, live, from a moving train, to anyone tuned into Radio #ds106. That is pretty mindblowing stuff. How does the ability to instantly broadcast live audio to a group of people impact what we do? How does this instant synchronous connection effect the sense of social presence? And how does having to make the decision of streaming vs. recording effect the experience of sharing? I’m glad I am not alone, this whole experience has really made me rethink the interactivity of the web around my house (it hit me when Grant was streaming an “Emergency Broadcast” into my living room for my kids and I to hear) and for the first time in my life I really want a mobile device that can stream to the web. having never owned a cellphone, that’s kinda huge for me. Anyway, you rock. Like the sample in the piece you submitted last week noted … “sometimes the simplest technologies can have the greatest impact” … I’m with you – there is something happening with the chemistry of broadcasting live mobile audio, music/sound that is binding this fantastic online community. It does what I think education ought to do- open the door to possibilities wide open. We had an ice storm here last night so most of my day was cleared and it gave me a chance to finally tune into #ds106radio for an extended period of time. I was hooked and loved every second of it. I thought about breaking in and doing a live segment, but thought it might not be well received. One of the things that blows my mind is that not only is the station mesmerizing, but the realization that people I care about are listening right at that moment is astonishing. Freaks me out that the same thing has been going on for decades with TV and Radio in the “real world” but somehow having the ability to break in and hijack the station and share thoughts on twitter is so much more interesting. There is so much to unpack in this whole experience … I am hoping we can build something like this for the next running of my course. last night, I tried a live broadcast from my bike while riding home from a meeting. just a couple of minutes, but there were people listening, sharing the ride with me. that was pretty cool.